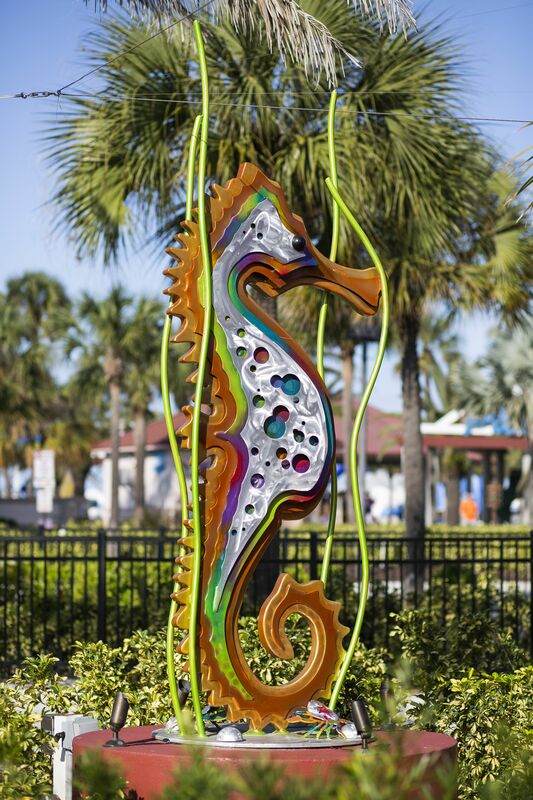 When you are headed to Cleawater Beach, FL you will definitely want to stop and visit the areas newest public art by artist Clayton Swartz. 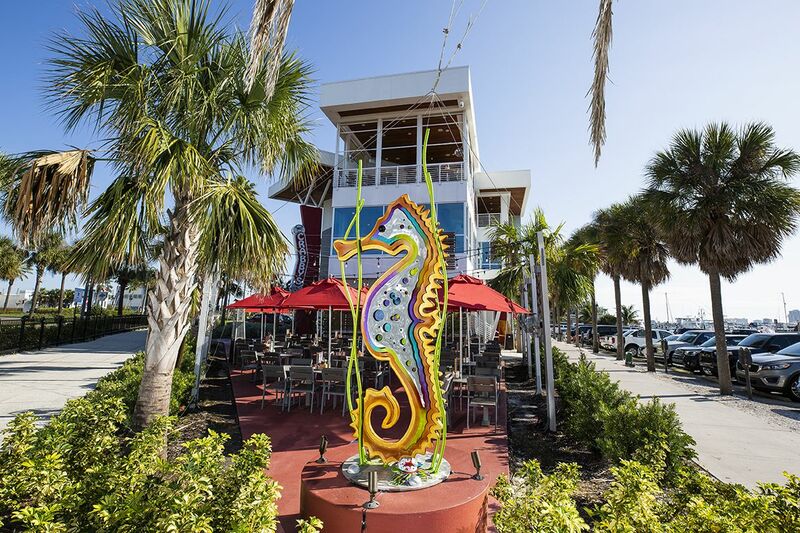 Crabby's Dockside restaurant commissioned Clayton Swartz to create a large scale Sea Horse sculpture located outside the restaurant. 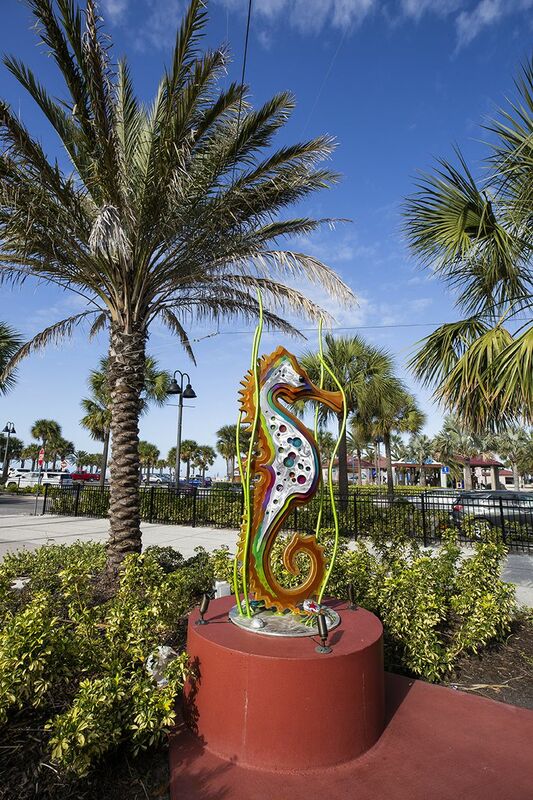 This 12 feet aluminum sculpture is full of vibrant colors and translucent colors. 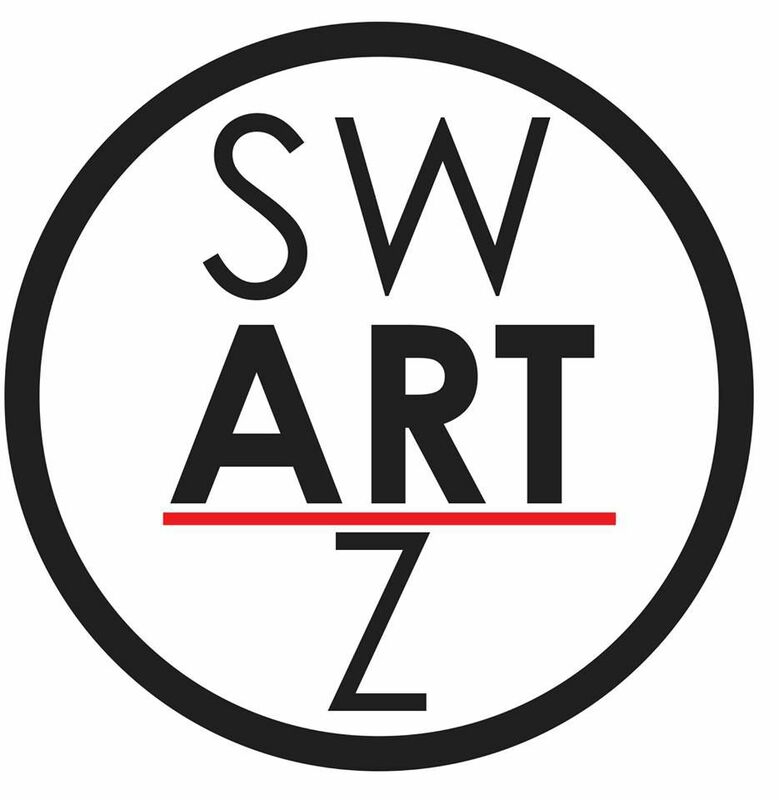 Additional artwork can also be seen at Swartz Gallery in Pinellas Park, FL.